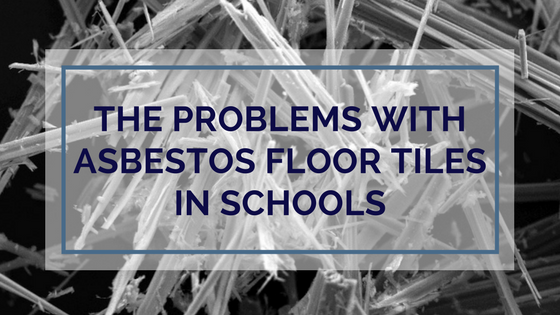 Many older schools across the country have problems with asbestos floor tiles, which has the potential to cause serious disease for the hundreds of thousands of children who could be exposed to the fibers. Because of this, it’s incredibly important that every precaution is taken during school renovations to prevent the fibers from getting out into the air. One of the best ways to handle the problem of asbestos in schools is through encapsulation. Asbestos is a naturally occurring mineral that’s made up of thousands of tiny fibers. It became popular in commercial installations because it’s resistant to fire and corrosion, while also being a good insulator. Asbestos has been used in the U.S. since the early 1900s, but peaked in the 1970s, which is why it’s commonly found in older schools. It can be found in these schools’ floors, ceilings, insulation, and more. When Does Asbestos Become a Problem? 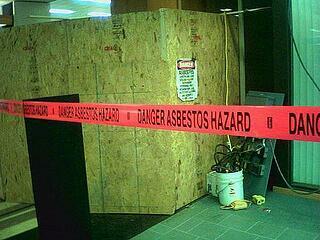 When left undisturbed, asbestos generally poses little risk to students. But, school renovations can disturb the asbestos and release the fibers into the air. This is when it can become a health hazard. Many of the older schools were built with asbestos materials and are now due for renovation, so communities across the country are at risk and searching for solutions. There are two ways to deal with asbestos flooring that meet the EPA’s standards - abatement and encapsulation. Abatement is a complicated process that usually involves completely removing the asbestos from the building. It is very expensive (about $25 per square foot), and requires trained, licensed professionals to remove it which adds an additional cost. If the work is completed by unlicensed workers, you could incur a fine. This happened in Prineville, Oregon, where a small business was fined $6,600 for completing unlicensed abatement. Abatement is also a very long process. Kilgore College in Texas, for example, had an asbestos problem that took about two years to completely remove. The high cost and time required by abatement has led many contractors to choose an alternate route - encapsulation. Encapsulation involves creating a seal around the asbestos so the fibers are totally contained. Once the fibers are encapsulated, the health risk is significantly decreased. Encapsulation is often the solution of choice because it is much faster than abatement, especially when the encapsulant is used with a dry adhesive (like Lok-Lift) that doesn’t require curing time. It also is far less expensive than abatement. While encapsulation seems like the ideal solution because of the cost and time savings, it’s not always feasible. If the asbestos has damaged the floor tiles too much, for example, abatement may be the only solution. So, it’s important you discuss your options with a professional before deciding between the two. If you’d like to go over your specific situation or would like to discuss Lok-Lift may be the right dry adhesive for your encapsulation process, please contact one of our product specialists.